CHROMiX Blog - All Things Color Management Colorants (and raves) - CHROMiX Blog: Upgrading to Mavericks? With the announcement by Apple of their new operating system Mavericks (OS 10.9) - and especially because it's free - and available for upgrade from many older OS's.... it's time to issue our customary warning about upgrading. We always recommend that people hold off for at least a few days or weeks before upgrading to any new OS release. That just gives some time for the app developers to see what's happening in the final OS release and then come out with an update of their app. It is tempting to think that since app developers would have access to beta versions of the OS, they should be able to update their software as soon as the OS update comes out. In practice we find that this does not happen in this color management industry. I know of some companies who make a policy of never updating their software until the final release of any new OS update - specifically because they have been burned in the past by (unannounced) last minute changes by Apple. 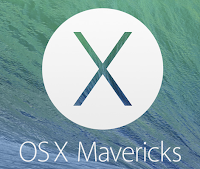 Concerning CHROMiX software products on Mavericks, we have found no problems. But for other software, be cautious before you leap, listen to the scuttlebutt around the forums, find out how others are making out on the new OS, see if your favorite apps have updates to handle the new OS, and then make the jump when the water's safe. Update: X-Rite has found that their XRD software requires an update for compatibility with Mavericks. You can find out more from this page.